CoCo Yachts has announced a contract for the basic and detailed design for two (2) fast ferries type Coastal Cruiser 200. 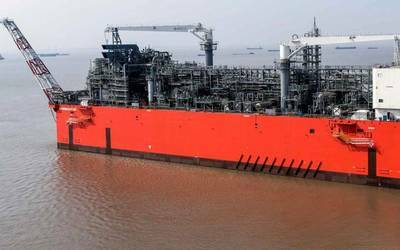 The vessels will be built by Afai Southern Shipyard in Guangzhou, P.R. China. Shenzhen Pengxing Shipping Co., Ltd. has chosen the Coastal Cruiser 200 design for it’s fuel efficiency in combination with excellent sea keeping performance. 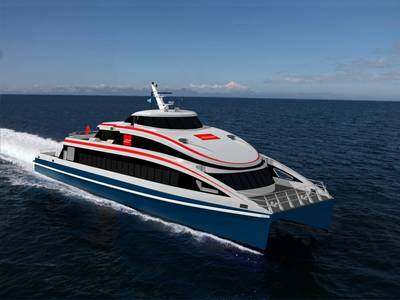 Shenzhen Pengxing Shipping Co., Ltd. will use both Coastal Cruiser 200 fast ferries to provide ferry services between Shenzhen – Zhuhai – Macau and Hong Kong, including several (Hong Kong) islands. Two (2) MTU 12V2000M72 main engines, each with a power of 1080 kW @ 2250 rpm, will drive two (2) MJP 650 water jets, giving a speed of 31.5 knots. Delivery of the vessels is expected first quarter of 2014. CoCo Yachts has worked almost one year to develop the Coastal Cruiser range. This range of fast ferries between 35 and 75 meter has been designed with the main focus on fuel efficiency, without compromising comfort at sea. Coastal Cruisers can be used for passengers only, or a combination of passengers and cargo – cars – trucks.